Fresh Flow Direct Marketing exists to provide high-quality, sales-ready leads and appointments to our clients with the goal of growing their sales pipelines and helping them secure new business. This is completed through a professional, relational and an innovative approach to direct marketing. We are passionate about building relationships both with and for our clients, and pride ourselves on our warm, personable and approachable aura. We build up rapport with those we approach, always aiming to be respectful, demonstrating your company’s credibility. We know that as we represent clients, we need to present them in a professional and appealing way. That means no begging, and no cringe-worthy performances that could damage our clients’ good reputations. We’re polite, respectful and courteous, confident in the brands we represent. We also value highly the relationship we build with you; the client. We work from a place of partnership and integrate into your business as much as is possible, presenting ourselves from within your brand. That means we invest time getting to know your field, to ensure we do you justice as we fulfil your needs. We want to be the best representation of your company that we can be and are experts at seeing this through. Maintaining Client Reputations and managing your expectations is our main focus and we go out of our way to make sure we work together with our clients to help them maintain sustainable growth. Our desire is to break away from the traditional, predictable marketing agencies, with brash, untrained sales reps. Fresh Flow seek to provide our clients with a superior service, that doesn’t simply meet their expectations but surpass them. Every member of the Fresh Flow team is a highly skilled and intelligent individual, who has been specifically trained in our field. 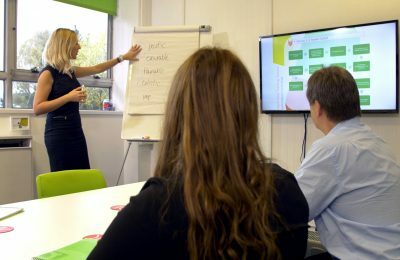 All calls and marketing activity completed by Fresh Flow on behalf of our clients are by our own staff, working here at Fresh Flow Towers. We’re dedicated and determined, highly enthusiastic and are in business to deliver the results you want. Across the board, from our email marketing services through to telemarketing, we push the limits, securing quality results and pursuing excellence. We fully integrate with our clients so as far as the recipient is concerned, there is no Fresh Flow. We know that if we can’t produce results, there’s no place for Fresh Flow in the market. We’ve heard too many stories of high investments yielding less than impressive results when it comes to lead generation and broader marketing activity! 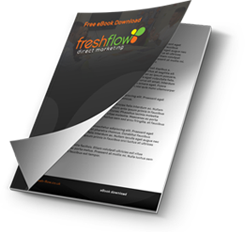 At Fresh Flow, we proactively serve our clients, tailoring campaigns specifically for them and their needs, ultimately ensuring a maximum return on their investment. We know that the current financial climate is tough, but we’re out to prove that outsourced direct marketing is a wise and highly cost-effective method of business growth. It’s all about the results!